Belize is a beautiful country on the eastern coast of Central America. This tropical paradise is known for its beautiful beaches, fascinating history and unbelievable snorkelling sites. Belize and its adjoining islands, cays (small mangrove covered islands) and atolls, make for the most biodiverse snorkelling experience in all of Central America. 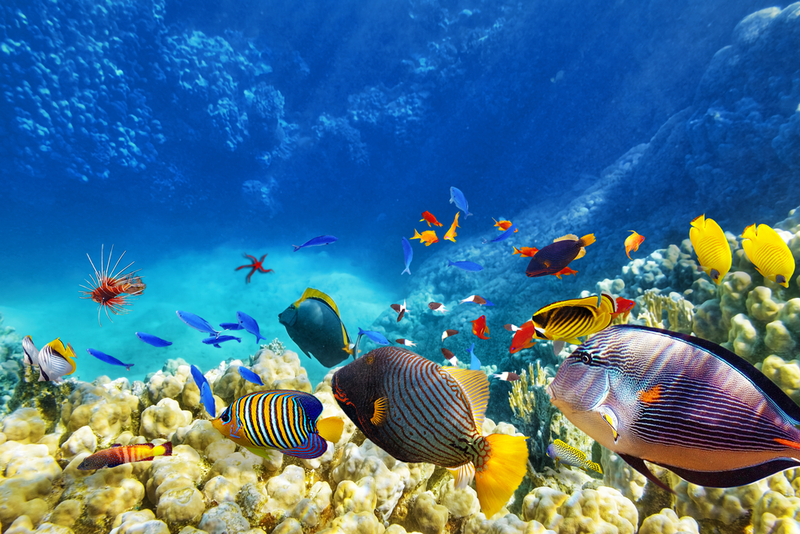 With so much choice, it is extremely difficult to know which are the best snorkel spots. But fear not, in this post I will tell you which sites you must visit while in Belize, and what unique sea life you can expect to find in each. 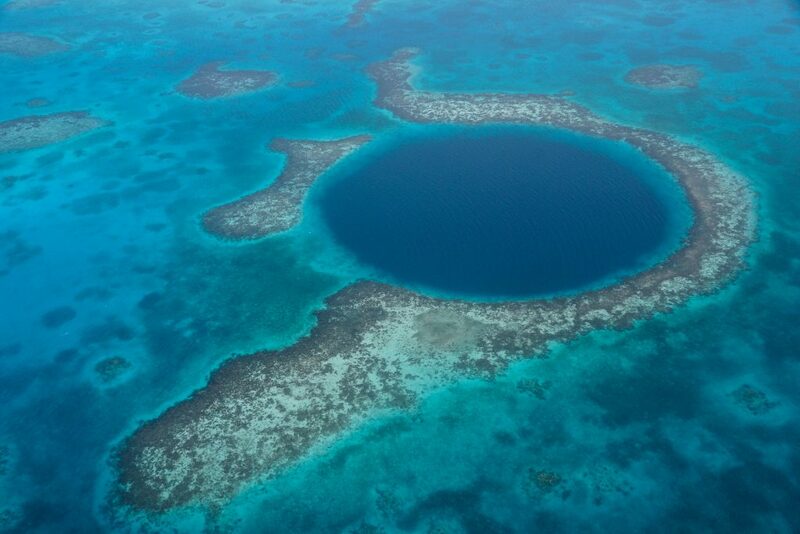 This has to be the most famous snorkel and dive spot in Belize, as it is home to the iconic Great Blue Hole. This gigantic limestone sinkhole was formed when part of the Lighthouse reef collapsed in on itself, creating an almost perfect circle. Although the Great Blue Hole isn’t the best spot for snorkelers, the shallower reef system surrounding it is absolutely magical. Here the water only reaches 10 feet deep, and is teeming with vibrant marine life. Scattered along the seabed are hundreds of different coral species, tonnes of tropical fish, and even a barracuda or two. In this area you will also find the Half Moon Caye, a submerged wall with shallow areas full of angelfish, sea sponges, vibrant sea fans and sting rays. This snorkel spot is not only a protected UNESCO World Heritage Site, but it’s also one of the only snorkel areas you can reach by walking straight off the beach. Glover’s Reef Atoll, the southernmost atoll is Belize, is a world-renowned snorkel site, and is a favourite of Jacques Cousteau himself. With its shallow centre, this atoll is home to an extraordinarily rich biodiversity. 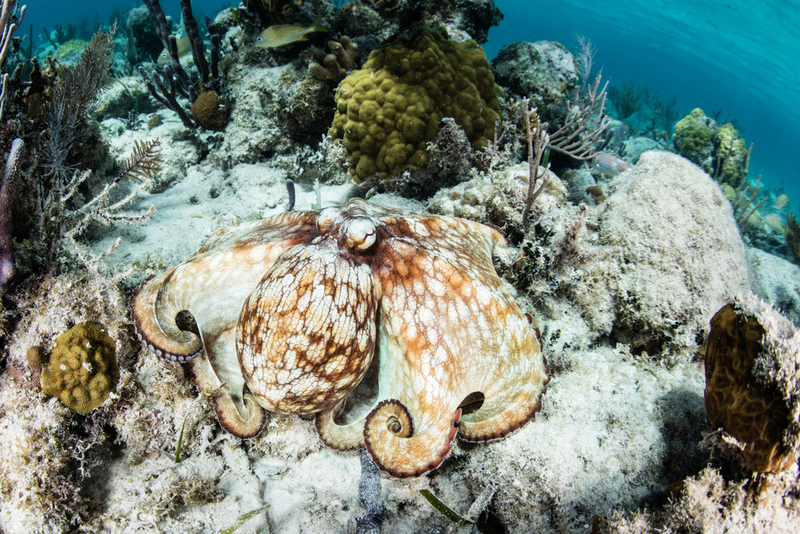 Expect to swim alongside octopus, green sea turtles, horse-eyes jacks, Atlantic spade fish, and even the threatened Nassau grouper. This stunning marine reserve is located just to the north of Belize, and is one of the busiest snorkel spots in the country. Despite the crowds, this snorkel site has made it to the list because of its outstanding marine life. With its vibrant corals, countless tropical fish and gigantic sea fans, Hol Chan is home to some of the most spectacular underwater scenes in Belize. Expect to share your snorkel adventure with sea turtles, rays, giant crabs and even a dolphin or two. 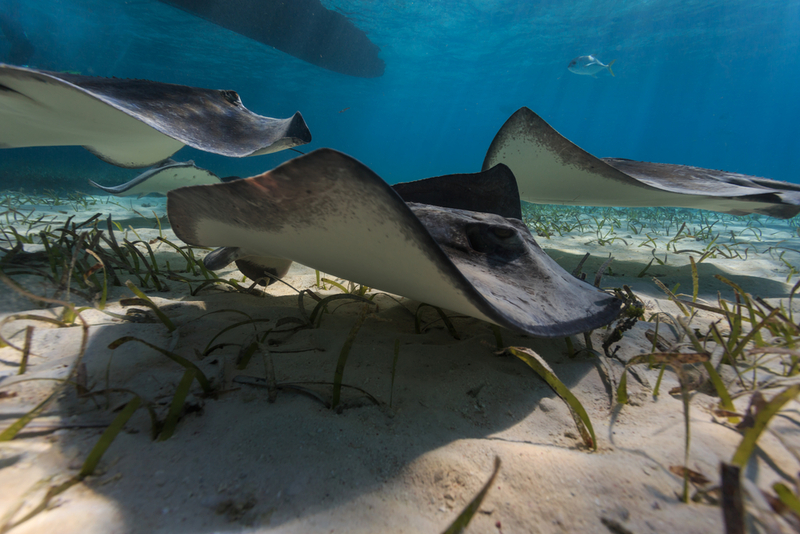 Located next to the amazing Hol Chan Marine Reserve, Shark-Ray Alley is one of Belize’s most popular snorkel spots. 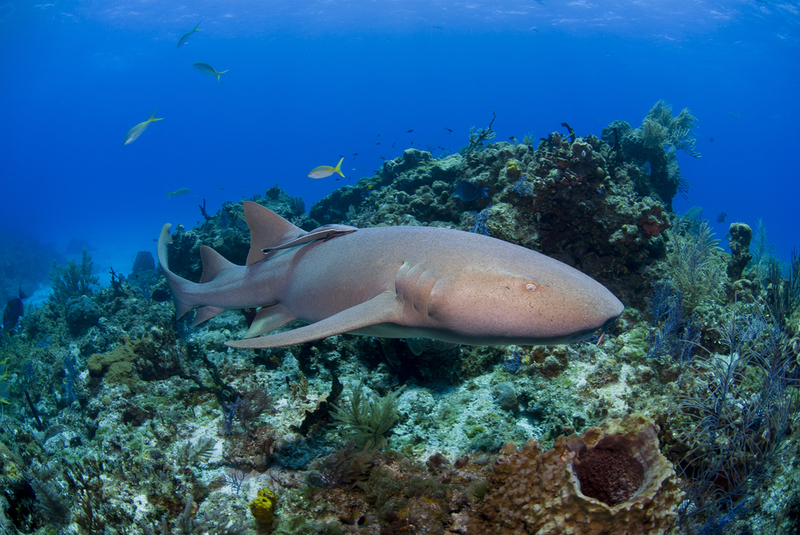 In this magical place you can get up close and personal with tonnes of nurse sharks and rays. You’re guaranteed a full-blown adrenaline rush when they rub up against you as they swim by… but don’t worry, they are completely harmless to humans. At night the alley takes on a whole new personality, coming alive with the bioluminescent glow of moray eels, and parrotfish cocoons. Hidden away in the northern corner of Belize is Caye Caulker. This laid back island is known for its crystal clear waters, beautiful coral gardens and unusual mangrove entangled waters. Whilst snorkelling in the warm waters of Caye Caulker, you will see delicate little sea horses, rare sea sponges and a wide array of vibrant fish and rays. The most famous attraction in this area is the Ray Village, where you can stand in waist-high water, and be surrounded by countless rays. Just a short boat ride away from Ray Village is the amazing manatee habitat, where, although you can’t swim, you can watch these graceful creatures go about their daily business from your boat. Are you interested in going to this magical paradise? Chimu Adventures offers tours to Central America and South America. Click here for more information about Chimu.